As you may or may not know, there are a variety of different kinds of stainless steel on the market today. After all, to be considered a stainless steel, all a metal alloy needs is to consist of at least 10.5% chromium; there are tons of alloys which contain this level of chromium. The most common types of stainless steels are austenitic stainless steels. Compared to other types of stainless steels, austenitic stainless steels are extremely high in nickel content. Generally, they will also contain high amounts of chromium, nitrogen, and molybdenum. Austenitic steels are renowned for their extreme weld-ability and malleability. Commonly used for kitchen cutlery and storage components, they also receive a lot of credit for their strength capabilities. They typically have very high corrosion resistance. This suits them for a variety of uses where a corrosive environment is present. Common austenitic stainless steels include alloys 304 and 904L (N08904). The only potential problem with austenitic stainless steel is that it’s expensive. Ferritic stainless steels are stainless steels with low, but existing amounts of carbon. Generally, carbon consistencies in ferritic stainless steels don’t exceed 0.10%. While other minerals can be added to these steels (molybdenum is a common additive), they primarily consist of chromium. Ferritic stainless steels are magnetic, and are used commonly for their resistance to stress corrosion cracking. Because of this, they’re often utilized for products that will come into contact with potentially corrosive materials. These products include car components, kitchen cookware, and industrial entities. Two of the more common types of ferritic steel are alloys 430 and 434. Duplex stainless steels are essentially combinations of ferritic and austenitic stainless steels. Stronger than both ferritic and austenitic stainless steels, they possess less nickel than austenitic steels. Because of this, they are also less expensive than austenitic steels. Duplex stainless steel is used heavily in the underwater oil industry. This is due mainly to its corrosion resistance capabilities, which allow it to withstand the corrosive nature of salt water over long periods of time. Fairly malleable, and fairly weldable, duplex stainless steels can be shaped to create a number of different components. Two of the more common types of duplex stainless steel include S31803 stainless steel and S32205 stainless steel. Martensitic stainless steels are structurally similar to ferritic stainless steels, with the only real differences being their percentages of carbon. While carbon percentages in ferritic stainless steel remain below 0.10%, carbon percentages in martensitic stainless steel hover around 1%. This difference in carbon percentages is important because it allows for martensitic stainless steels to be hardened to great extents. 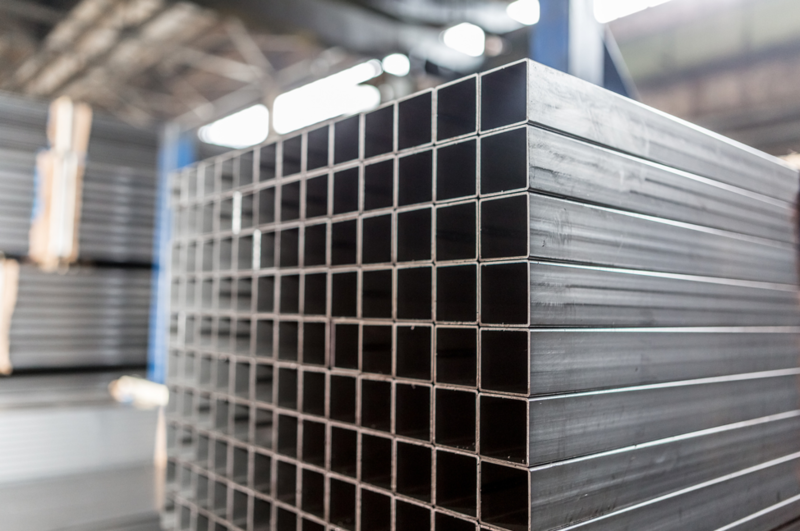 This type of steel is typically used in situations that call for high strength, but average resistance to corrosion. You’ll often see it used in valves or pumps, though it has many more applications aside from these. Some martensitic stainless steels include alloy 431 and 420S45. Are you on the search for stainless steel manufacturing products? If so, look no further! Great Plains Stainless has you covered. We offer stainless steel components of all kinds, including tubes, pipes, bars, fittings, and a variety of other items. Delivering to over 50 different countries, we can get these components to you in a short amount of time. Contact us now to discuss your stainless steel needs!